Offshore wind turbines could have a major environmental benefit that has only recently been discovered. Not only do offshore wind farms act as clean energy producers, they also serve as artificial reefs. There are many concerns regarding the impact that offshore turbines could be having of marine life, but some of these concerns may be unfounded. For seals, offshore wind farms may soon become a place where they can reliably find a meal. Turbines are hard structures, which are very attractive for mussels. They also attract a variety of other sea life, creating a somewhat diverse ecosystem. As life in the artificial reef begins to flourish, large predators, such as seals, begin to flock to the area and take advantage of the food they can find there. Rather than disrupting marine life, offshore wind energy systems may actually be helping it thrive in a variety of ways. 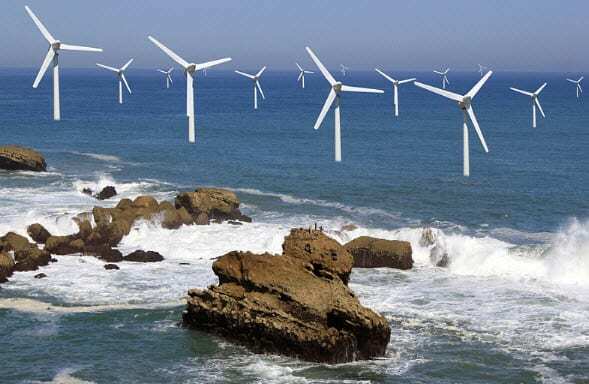 benefits and drawbacks of offshore wind turbines are still being explored and it is difficult to say for certain whether or not these energy systems will have an overall positive impact on the environment. A recent study from the University of St. Andrews discovered that seals have developed a fondness for wind turbines, opting to stay close to these energy systems. This is largely due to the fact that food can be found near these turbines more easily. Stockholm University’s Department of Zoology suggests that wind turbines will have a positive impact on marine life overall, so long as they are carefully designed.